Welcome to the Villa One Website. Thank you for visiting! 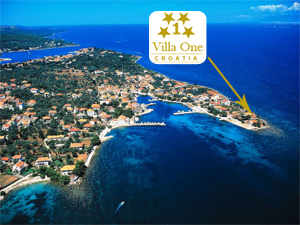 Villa One lies on the island of Ugljan, near Preko, connected by car ferry (20 mins) to the city of Zadar, Croatia. 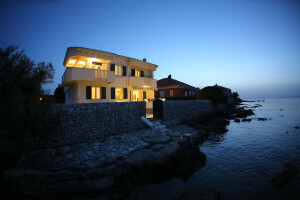 Villa is situated at the peninsula, surrounded by the sea from three sides. Distance to the nearest beach is 20 m; a beach for the guests is only 6 m from the villa. 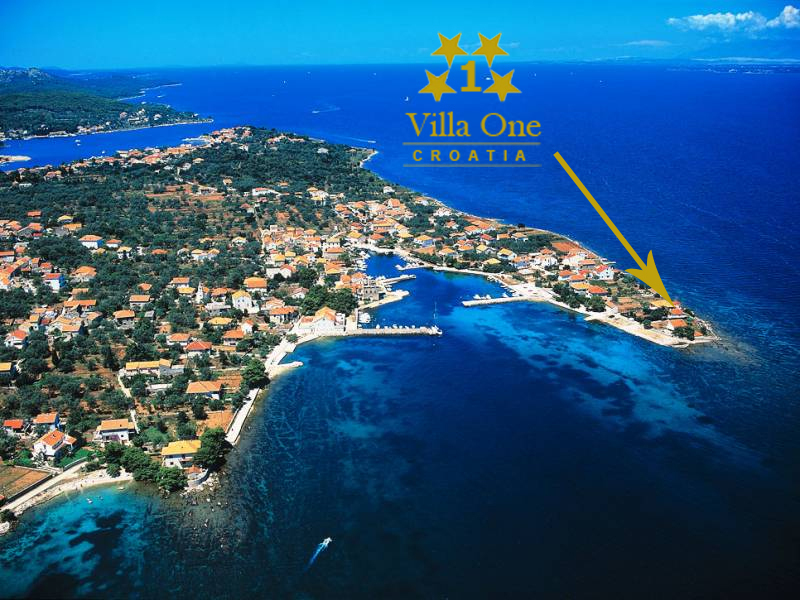 Villa is very comfortable and fully equipped, in a very quiet area, with a wonderful view and at the same time in vicinity of all important points of interest. It offers accommodation for 8 persons. 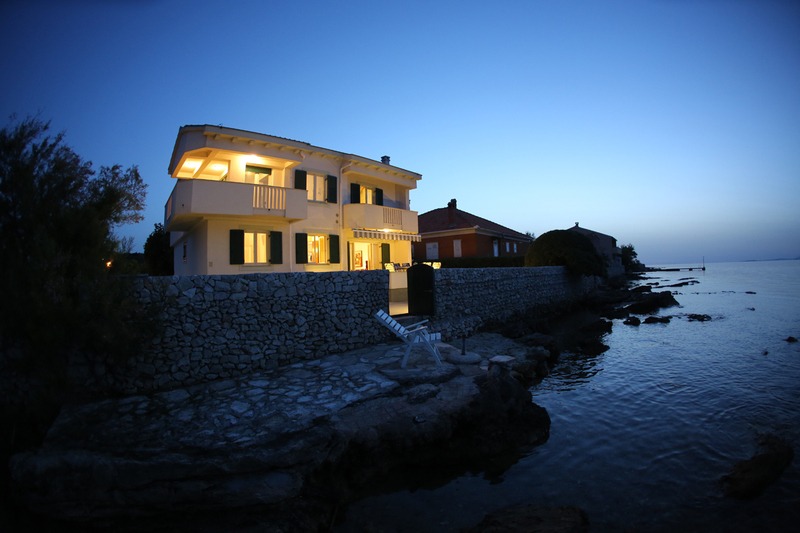 Guests are staying in the villa exclusively and have complete privacy, the host and staff will come on request. is one of the most picturesque islands in the Zadar archipelago, it lies opposite Zadar from which it is divided by only few miles of the Zadar Channel. The surface of this eternally green island is covered by olive groves, idyllic coves, colorful fishing ports and lot of beaches with perfect clean seas. Fishing and tourist localities extend along the eastern side the island, among which the most well-known are Preko, Poljana, Lukoran, Ugljan, Kali and Kukljica. Once you have caught sight of the island of Ugljan and have started enjoying its beauties, you will know that your trip was worthwhile. Zadar is the largest city located in Northern Dalmatia with an ideal geographical location. There are 5 National Parks in Zadar’s vicinity: NP Krka, Paklenica and Northern Velebit on the Velebit Mountain, as well as 2 most beautiful parks in Croatia: NP Plitvice which is only a 1.5 hour drive from Zadar and perhaps the most original National Park in Croatia – the Kornati Archipelago with its 140 islands and crowned cliffs ideal for a Robinson Crusoe holiday. 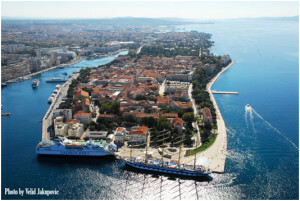 In addition to the rich and colorful history, Zadar offers unique cultural programs.